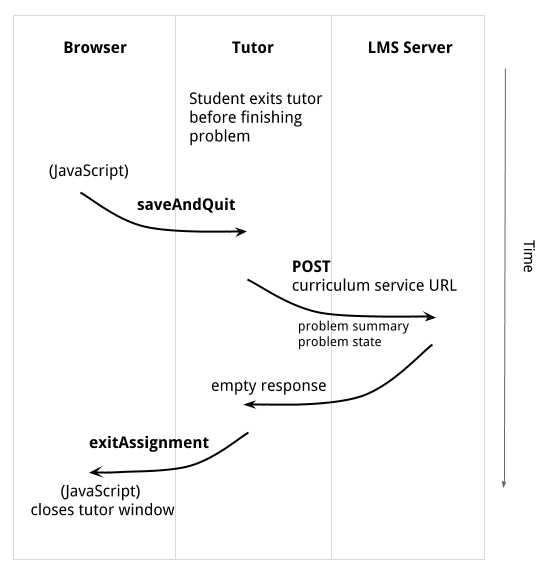 This pages collects documentation on the integration of CTAT tutors into a Learning Management System (LMS). The meaning of the ProblemSummary attributes and skill elements are described in more detail here. The Skills list has the same format as in the flashvars, but contains values updated after the student interaction with the tutor. The 'problem_state' parameter is an XML structure containing a number of 'message' elements which describe the current state of the tutor. The LMS doesn't need to know or interpret the structure in any way, it only needs to store it in some place, so it can send it back to the tutor on request. The LMS only needs to acknowledge the command by sending back an empty response. 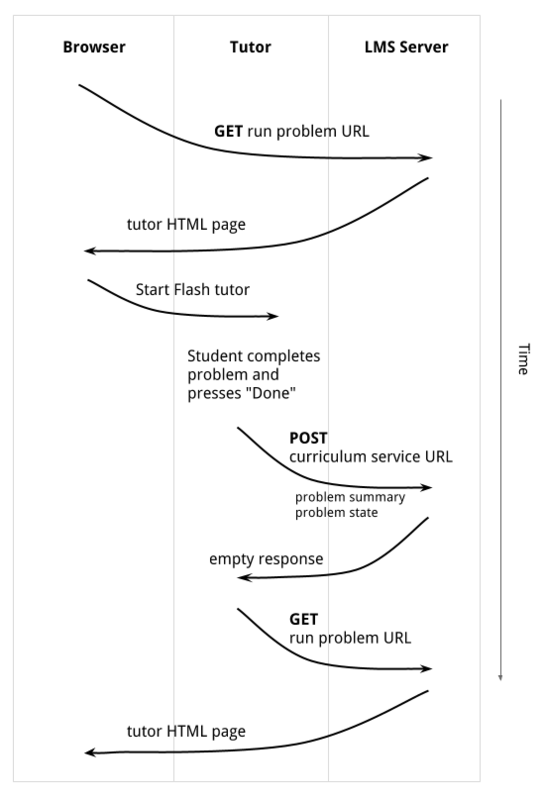 The the tutor will then send a GET command to the URL from the 'run_problem_url' flashvar, which is a command to request the next tutor, similar to the one that initiated the current tutor. This 'run problem' command also specifies a frame target for running the next tutor, taken from the 'target_frame' flashvar. If the target is empty, the next tutor will be run in the same HTML frame as the current one. 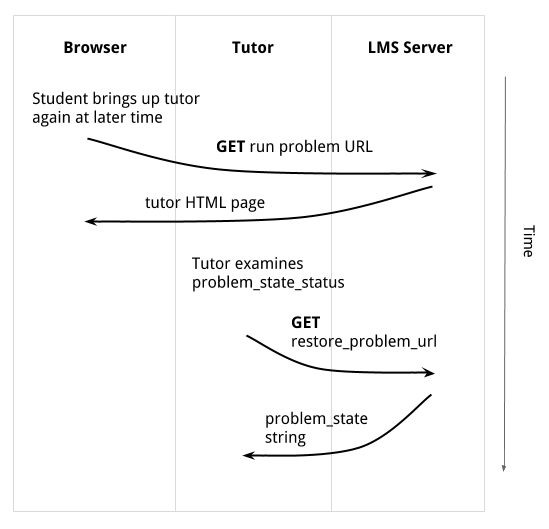 When the server is starting the tutor again on the next session, as part of the process of restoring the initial state, the tutor examines the value of the 'problem_state_status' flashvar received from the LMS server. This value could be 'empty', 'incomplete', or 'complete'. If the value is 'incomplete' or 'complete', the tutor knows that a previous state was saved for this particular problem. It can then request the saved state by sending a GET command with the URL specified by the 'restore_problem_url' flashvar. The LMS's response to this command should be just the value of the 'problem_state' parameter received previously.